Currently in it’s 8th season, the MTV reality show Geordie Shore has proven to be a hit with fans worldwide, pulling in over 1.1 million viewers on every episode. 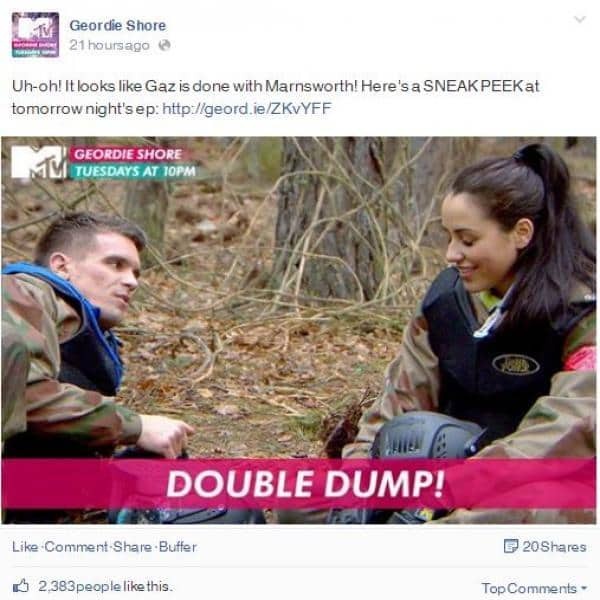 For those of you that have been living under a rock these last few years; Geordie Shore is Newcastle’s answer to its American counterpart ‘Jersey Shore’ and has moved from strength to strength (or scandal to scandal!) since it first aired 3 years ago. 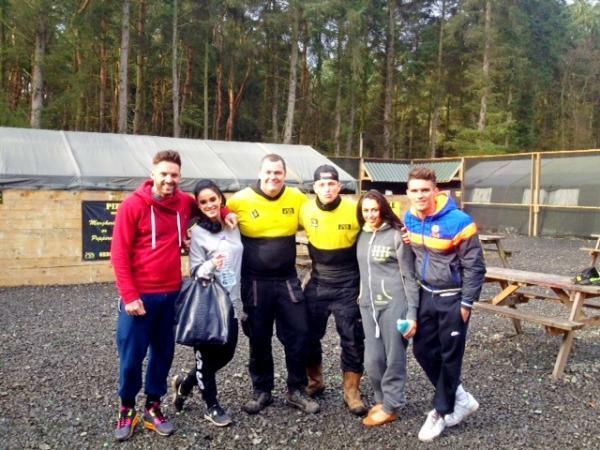 Characterised by its fly-on-the wall shooting style and following the debaucherous lives of Newcastle’s reality TV stars, Delta Force Paintball recently played host to cast stars Gary “Gaz” Beadle, Vicky Pattison, Marnie Simpson and new arrival Aaron Chalmers. In the latest episode, set to air on Tuesday 12th August, you can watch as the Geordie crew come under heavy fire – this time from paintball shots – when they visited the Delta Force Paintball Centre in Newcastle. 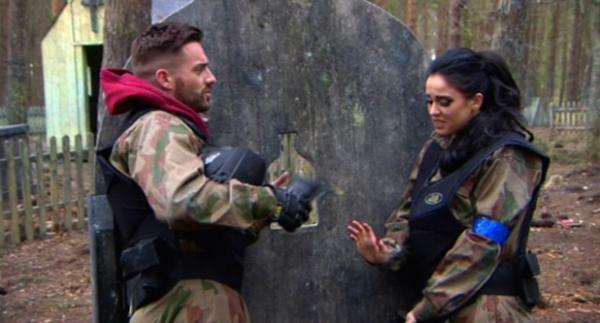 Their paintball day out marked the second double date for Gaz and Marnie and Vicki and Aaron – was this a sign of strengthening bonds between each of the couples? Only time would tell! During their day out at the Newcastle Paintball Centre, the group had a wicked time gallivanting around our themed game zones, armed with the latest semi-automatic paintball guns and decked out in camouflage gear to really play the part of Rambo. However, their day took a tumultuous turn when the boys strategically timed their break-ups, ensuring both the girls Vicky and Marnie were “pied” after the last paintball shots had been fired! Keep tuned to tonight’s program on MTV at 10pm to see the drama unfold!